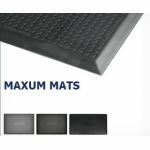 The Smart Step Maxum mat is a heavy-duty, anti-fatigue floor mats offering remarkable comfort and safety by helping to reduce back, neck, leg and foot fatigue associated with long-term standing. 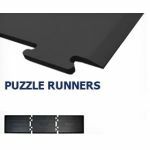 Needs come in all shapes and sizes that's why Smart Step is proud to offer 4 styles of puzzle piece mats that perfectly fit together to create the perfect shape and size for your unique needs. Smart Step Anti-Fatigue Mats makes standing more comfortable by reducing back, neck, leg and foot fatigue associated with long-term standing. 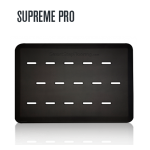 Smart Step Supreme Pro features all of the benefits of the original Supreme with the addition of drainage slots, making it the best anti-fatigue mat for wet working areas. 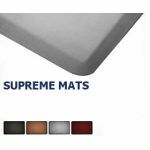 Smart Step Supreme Dual mats offers additional grip support for especially slippery floors in smaller areas. 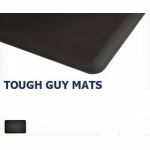 Smart Step Tough Guy Mats are our economical, cost-conscious line. 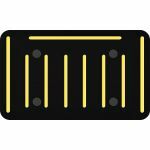 Mats are constructed of a one-piece 5/8" polyurethane and offer the best combination of comfort and durability.